Anthony Alfred Harmsworth Marlowe was born 25 October, 1904 in Camberwell, London. Marlowe was the youngest child of Thomas Marlowe and his wife Alice Warrender. Thomas was a journalist and editor of the Daily Mail, a position he held from 1899 to 1926. Thomas chose to give his youngest son the middle names "Alfred Harmsworth" to honour the Daily Mail's founder, Alfred Harmsworth. Marlowe's family was quite well off, with several servants, a necessity given that Thomas and his wife ended up having eight children. Young Marlowe escaped the ravages of World War I and in the early 1920s attended Marlborough College, a boarding school in Wiltshire. From there, he went on to study at Trinity College, Cambridge. Interested in law from an early age, Marlowe was called to the Bar (Inner Temple) in 1928 and established his own law practice. The following year, he married Patricia Mary Hastings, the daughter of barrister Sir Patrick Hasting. Marlowe and Patricia had several children in the 1930s. In 1938, the Munich Crisis shook the confidence of a nation and Marlowe, sensing that war was in the future, joined the Army Officer's Reserve. With the declaration of war, Marlowe received an Emergency Commission into the regular British Army and was assigned to the Judge Advocate General's staff. Marlowe rose through the ranks and finished the war as a Lieutenant Colonel. On 4 and 5 August, 1941, Major Marlowe served as the Attorney for the Prosecution at the court martial of Josef Jakobs. He would be successful in prosecuting the case. Despite his military service, Marlowe found time and energy to run for office. On 15 November, 1941, three months after Josef's execution, Marlowe was elected as a Conservative Member of Parliament for Brighton, Sussex, a position he held until 1950. Marlowe wasn't all that impressed with Winston Churchill and they two men butted heads on several occassions. On 29 May, 1945, Marlowe questioned Churchill about the plans to bring Nazi war criminals to justice. Does not my right hon. Friend think that in relation to the notorious Nazi leaders the tangled machinery of trial is an inappropriate farce? Will he not ensure that they are despatched with the maximum speed; and, pending that desirable event, will he see that they are maintained in prison cells, and not in hotels?" Not surprisingly, Marlowe, recently appointed a King's Counsel, would find himself playing a key legal role at several Nazi war crimes trials. 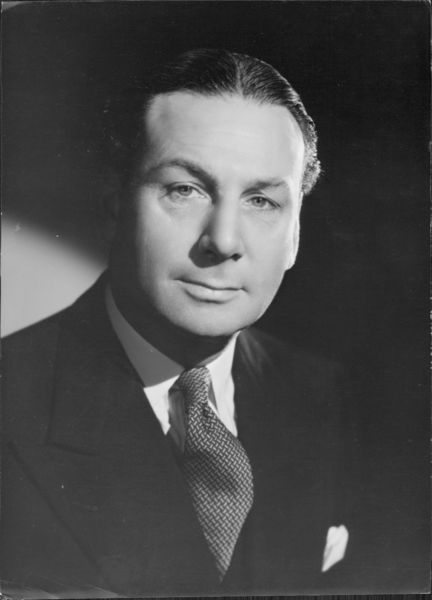 In 1950, with the redrawing of constituencies, Marlowe was elected Conservative MP for Hove, Sussex. At some point, Marlowe and Patricia's marriage ended in divorce. The two went their separate ways and in 1956, Marlowe married divorcée Marion (née Tenant-Park) Slater. In March 1965, Marlowe suffered a mild heart attack which slowed him down slightly. During the next few months, his health took a turn for the worse and he eventually resigned his seat in June. On 8 September, 1965, Marlowe passed away in Poole, Dorset at the age of 60 years.